Carrot cake. You either love it or hate it, right? I happen to love it but only if it doesn’t have nuts. Or raisins. Nothing against nut and raisins – I like them, just not in my cake. Actually, if I’m gonna be honest, the main reason I like carrot cake is it’s marvelous ability to be the base for massive amounts of cream cheese frosting. Can I get an “Amen“?? However, I recently discovered that it can be amazingly delicious without all that frosting! (I still made a cream cheese glaze though – I’m not an animal!) 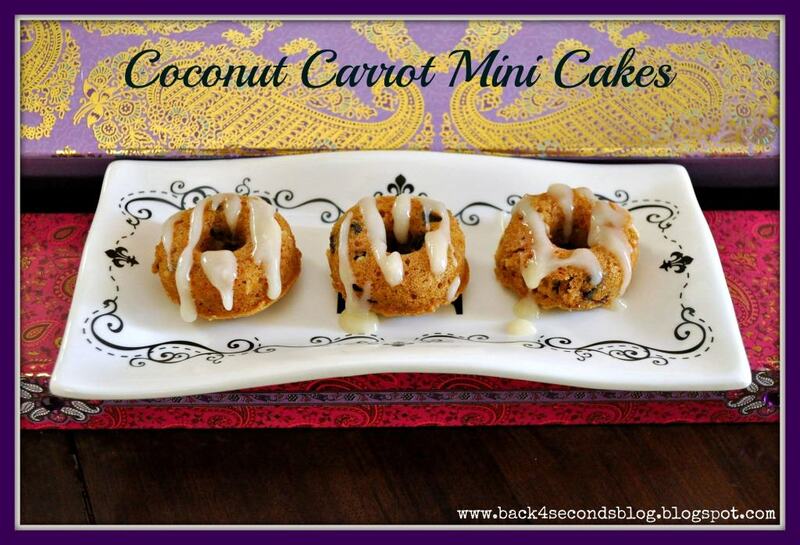 With the addition of coconut and a healthy dose of chocolate chips, this carrot cake rocks! Even if you think you don’t like carrot cake, I bet this recipe could change your mind. It is moist, fluffy, and full of goodness! Add all ingredients except coconut and chocolate chips to a large mixing bowl. Beat well. Stir in coconut and chips. 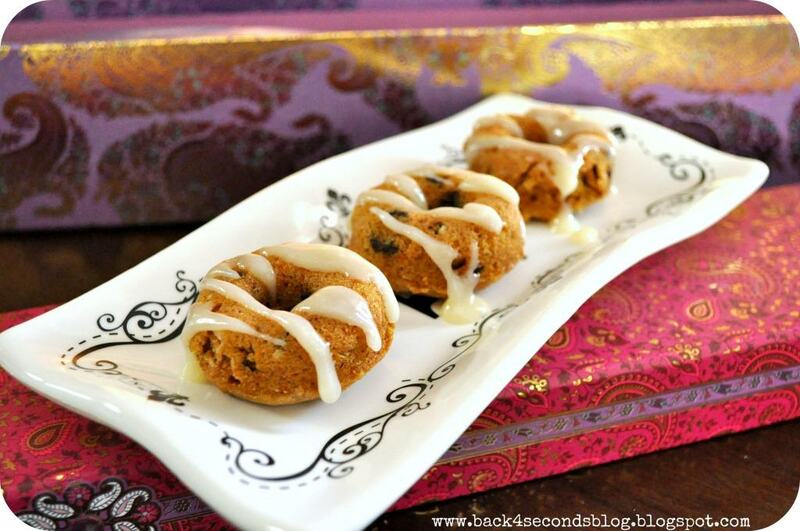 Pour into greased mini bunt cake pans. Bake 8-10 min or until toothpick comes out clean. Remove from pans and let cool on a wire rack. Drizzle with glaze. In a small bowl mix together cream cheese, sugar and vanilla. Slowly add milk until desired consistency. This sounds like a winning combination. Thanks for sharing at this week’s link party! Those look delicious. I love the glaze on top. Thanks so much for sharing at Whimsy Wednesdays. These are adorable! Thanks for linking up on Southern Sundays! Featured items will be announced next week so come back, and please bring some more delicious recipes! I love coconut, I must try these soon!